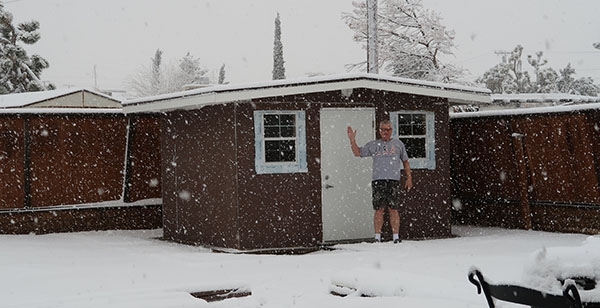 Meet the "Grinding Hut", a tough name for a gentle work space thanks to a YouTube viewer. So you think you can see me now? Levin lathe accessories replacement parts and a German machine controller panel. So much machinery and tools coming online a Bodine shunt motor with wiring bearing issues and lastly American Machined for "The Perfected Product". Finalization of the Outbuilding named the "GRINDING HUT" formerly known as the "Finishing Shop" begins. We are estimating that our 12 foot by 10 foot outbuilding can be completed in just a few short months as we have to do this work part time because we are working to continue our machinery and precision tool refurbishing rebuilding and restoring are all very important to getting our machines cutting metal chips again. We shared in our last Blog 12 update two weeks ago about the outbuilding finally getting back to work on it and we will now share what still needs to be completed before we can move our finishing related equipment into the room. Freeing up the "Machine Shop" area does something in its future that it is too early to share now that is not reality yet it is only a dream or two so no sharing yet for those updates. Additional weather sealing covering the exterior of the current ¾ inch plywood buildings outer walls. The "Grinding Hut" gift we afforded ourselves since we work in that building at least a few times a week and more often when we are ending a production runs of machined components. We already shared in this last weeks video how the Finishing Shop now "Grinding Hut" looks like. It is lined with ¾ inch white oak veneered plywood and the internal trim over those panels will now be red oak 1 x 3 and 1 by 4 baseboards, so the room should be a joy to operate in as well as a nice bright look through the lens of the camera. We form/bend our own EMT conduit and pull wire and wire to the 200 AMP installed breaker box and all outlets, basically we do our own electrical work. 3-Phase, 208 electric service, 110v and 208v powers even our LED lighting. Install a small washing sink even a nice fire extinguisher panel and device and then finally we can more our finishing support equipment into this fine new 12’ x 12’ room. Eyewear nothing to worry about. We do our own eyewear prescription upgrades and order the prescription refills and frames for less then anyone in a developed nation on earth, it is what you are rewarded when you do your own research and teach yourself how to use an optometrist eye testing system. The primary reason we do this ourselves is so that we can fine tune our prescription to perfection in our environment. We share as a note that we do not do the bi-yearly health examinations ourselves, as that we leave up to the ophthalmologist. They go to school and have the tools, training and past eye examination experiences to guide them in their field of expertise. The German Tapping Machine gets a new panel and that will be the final part for the Hagen & Goebel HG-2 that will now hold the veritable speed controller as well as the lighted on/off switch. This completes this tapping machine which now also has its final home in the Workshop next to one of our two main parts making machines the Levin Instrument Bed Lathes. Reassembly of our oldest Levin Lathe after the spindle was rebuilt. The Levin motor a Bodine a shunt wound was also rebuilt as was the motor for though newer yet still by Bodine motor for our other newer 1980’s Levin Instrument length bed lathe. So as we often do, we needed to order a very special 5 lead working to wire a new longer required cord to the motor that would still reach our Levin motor controller box and while we are in there we always replace the bearings, brushes felts bushings all wear parts in this case because the motor itself runs really well currently. This week on Shop Adventures, we are going to finalize the motor, reinstall it on the dedicated Levin machine maple table top, finish the full idler pulley and head stock installations and make a few test cuts all while filming this long awaited process to be concluded. We will finally in the coming weeks install the Levin table top Micro Drill Press locating this nearest our older Levin Lathe, this is one machine that I have enjoyed running before it was taken out of service and totally rebuilt. Levin Milling Attachment gets disassembled, inspected cleaned polished and will go back to Patrick for final reassembly only I first must provide a flawless brushed finish in perfected uniformity and I truly do this spindle housing is really neat and very clean to now go into rebuilding being filmed under Shop Adventures labeled as an Educational Pullout videos mini series. This very spindle is one of several Levin Spindles that we are getting scheduled for an Educational pullout video for our new YouTube category under Educational and can be found at YouTube.ActiveAtom.com and are as mentioned often, only periodic videos in addition to our weekly YouTube series titled Shop Adventures. 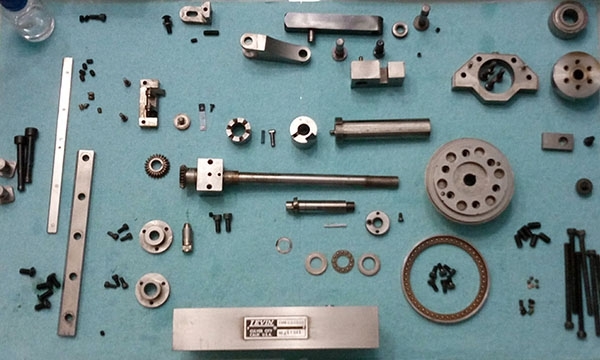 The Levin Milling Attachment was the last Levin accessory being refurbished as we prepare to begin making parts, component’s for "The Perfected Product" from our hand drawings that are being converted into CAD drawings that we can precisely begin building our product from. 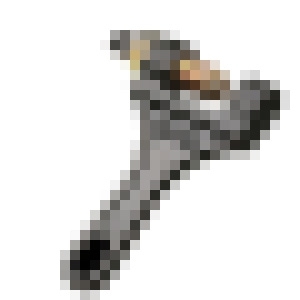 We always replace all bearings, bushings, felts and sometimes many regular use fasteners, those ones used more often during regular maintenance and during regular machine operation and such. This last Levin accessory was an important milestone as we needed to order all of the replacement parts for not just this attachment but for all of the pieces we had thus far discovered for replacement, that from over the years or maybe decades more then likely needed to be replaced while we are reassembling all of our vintage and micro-machinery, precision tools and lathe bed accessories. 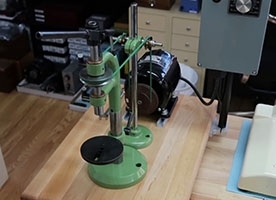 In a recent video, we shared a bag of parts components needing to be replaced from all of the Levin Lathe accessories we had disassembled and reworked up to that point. We refurbished these Levin & Son machine lathe accessories and thought we should mention them again to be sure a new reader knows what Levin tools we refurbished since these are the important tools we will need to make our American Machined product in the coming months. We received our Levin lathe accessories replacement parts this week and some of these parts in need of replacement were shared a while back when we were filming and the rest are new to you as a reader and video channel viewer. We had discussed the estimate cost for the parts spread out to replace parts in some of the above listed accessories while some accessories did not need any parts only some cleaning and refitting there were enough parts needed to generate an order with the Luis Levin & Son company a business that has been operating in the Southern California area since it began and we have shared many times decades ago. We thought our bag of parts shared in the video would be around $500.00 dollars as we had already bought about $600.00 dollars in parts a while back for this project as well but when we ordered our items that were all in stock, they were $2000.00 dollars, not too bad for making our refurbished machine tool accessories like new again and reducing precision repeatability and backlash in performance before we start making "The Perfected Product". After all I mean we did use these American made Levin attachments for near 3 decades and while these are not the parts used to rebuild the two main Levin Instrument Lathes spindles and head stocks, these do get a lot of our tools and machinery ready to begin working again only this time it is for our product o not that or another designer or manufacturer. Active Atom Product Updates (insiders track information). We are making very few products per pencil sketched drawing as a model. Each product is documented through the making process, tracked from start to finish often carrying matching numbers called fit or assembly numbers intended for the actual individual product fitting which occurs during final fit assembly we assemble each product by hand upon completion from machining and finishing, coatings and so forth as required and are each to be of the highest in quality standards we are able. Here is a little of how Active Atom will apply old techniques to the making our products. So while the product we produce will have a completed serial number and a COA (Certificate of Authenticity) and while this serial number is likely in addition to what we are going to apply for control, the product will also carry forward a rare early pair of makers practice of matched components built by one person typically through the entire makers process for example of this early manufacturers of high precision machine tools and the likes we can offer this lesson. Let’s say the product buyer someone we will call the caretaker sees this serial numbered and COA paper are a match and the serial number is prominently displayed for the world to see though subtle placement somewhere on or within the product. However if you were to disassemble the products components, you might find a number unrelated to the serialization codes issued for the product like, lets say your serial number is 00488 yet these individual parts or components are each numbered with a 05 what this process is known for is the manufacturers individual persons are being able to work on many components mixed and matched components like 02's 03's 014's and so on are of seemingly to the naked eye anyways the same components and they maybe, however they will finally be hand finished and fitted during final assembled using all the number 5 marked components as our example and this concludes this process. There is also one other item worthy to share at this stage. Many times in early manufacturing, a product would be made and then built by a real individual person say Lance Conway. So when the COA is accompanied with the product upon delivery to the customer, the makers name is signed in full or initialed onto this COA showing the name or names of the individual(s) involved in that particular products machining, finishing, fitting and assembly in part or in total depending on the choices and procedures of the individual manufacturer sees as most fitting (pun intended).